There are ways to make your sausage healthier. As an example, by trimming fat from meat more carefully, you can reduce the calories level and make the sausage healthier. Another thing that you should know is that you are able to reduce the amount of salt and blood pressure can also be reduced. In general, salt should increase the overall blood pressure and some people are less tolerant the effects of salt. Also, later in life, people can become more susceptible to negative effects of salt. Salt is typically added in meat products to slow down the growth of bacteria, making them have longer shelf life. So, you should expect that most of the meat products have relatively high salt content. Fortunately, it is possible for you to make your own sausage. In this case, you should look for the salt substitute and you need to be particularly familiar with them. If you still need to add salt, you should let your palate become your judge. In this case, you need to add relatively small amount of salt than we normally think. In general, using salt at about 1.5 percent of meat weight could make it taste quite good. You should know that if you plan to make a fermented variant of sausage, you need a higher level of salt, which is essential to prevent the accelerated growth of bacteria. So, if you buy a fermented sausage, it is important to check the label; because the level of salt can be exceptionally high. 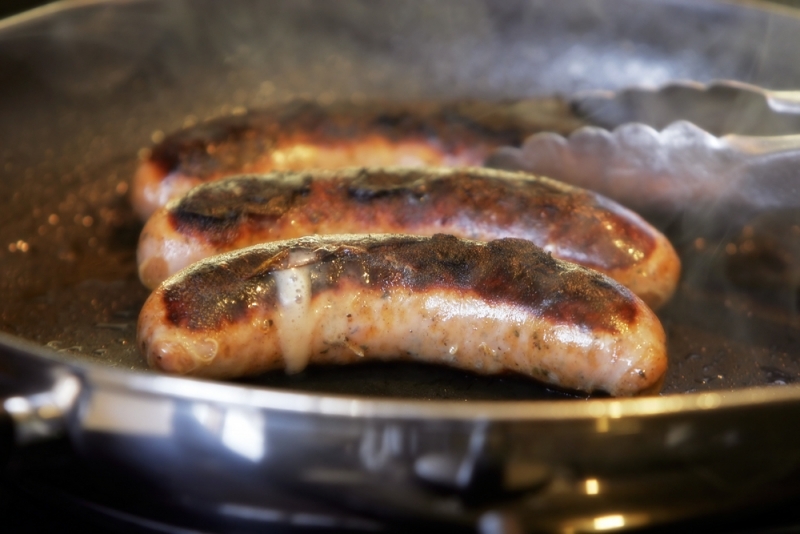 If you want to make your own sausage, luckily; you can use potassium chloride or KCl as replacement to regular salt or natrium chloride or NaCl. In order to do this, you can mix one part of NaCl with one part of KCl. Some salt producers already provide such products and some of them even contain zero natrium (sodium). However, you should know that KCl doesn’t taste like normal salt, but it should be close enough. It is important for you to learn closely about the potential health hazards of excessive salt consumption. You should look for ways to reduce sodium consumption in different ways. This can start by removing salt from your dining table and ask anyone who cook the food in your home to reduce the amount of salt that they use. It will take some time before you are able to get used to the reduced amount of salt. However, after a week or so, you should be able to enjoy the food better, despite the reduced amount of salt. When making a sausage and other dishes, you should consider using more spices and herbs to compensate for the loss of taste. Also, both components should make your meal to become much healthier. Also, you should consider that when the meal loses more water due to the effect evaporation; it will become saltier. So, if you make soup, you should consider making it thicker, so you are able to use less salt. For now, you should make sure to remove that salt shaker from your table.